You love your large-screen computer more than your smartphone, but wish many times that you could have rolled it up to slide in your bag and carry. But if you sadly left the thought because it would be just impossible, wait! Your dream is going to become true soon. 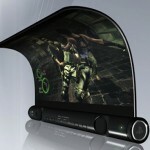 It is because of the major technological breakthrough which will make electronic gadgets to be rolled up or bent. Till now, the intricate computer parts – thin plastic sheets of electronic circuits, resembling sheets of paper, were available only in very small numbers in laboratories and limited to only certain kinds of devices. However, the University of Surrey researchers are working with Philips to create “source-gated-transistor” (SGT), a simple circuit which will possibly be much easier to manufacture for “smart” devices. 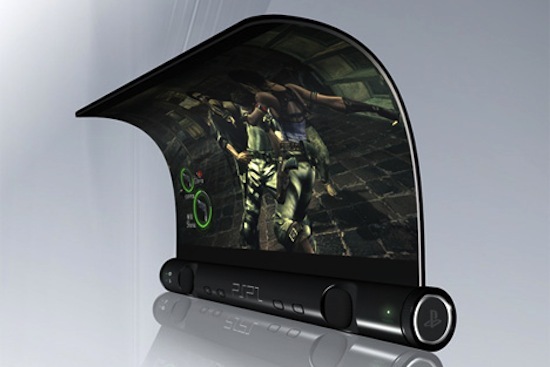 This means that flexible tablets can be widely available in the near future as per the journal Scientific Reports. Earlier studies discovered that the technology could be applicable to variety of electronic designs, as far as they had an analogue basis. However, the most recent study has discovered that SGT can be applicable to the next-generation digital circuits. SGTs control electronic current when it enters a semiconductor, which reduces the odds of circuit malfunction, enhances energy efficiency and brings fabrication cost to a minimum. These qualities make SGTs perfect for next-generation electronic gadgets, and could make it possible to incorporate digital technologies into those built with flexile plastics or textiles. Other technologies may include ultra lightweight and flexible devices which can be rolled up when not in use, smart plasters thinner even than a human hair, which can wirelessly monitor health of the user, low-priced electronic shopping tags for instant checkout and disaster predicting sensors, to be used on buildings in areas that are prone to natural calamities. Dr. Radu Sporea, the lead researcher of the Advanced Technology Institute (ATI) told that these technologies include thin plastic sheets of electronic circuits, resembling paper sheets, but equipped with smart technologies. Dr. Sporea also said that till now such technologies could be only produced dependably in small quantities which confined them to the research laboratories. However with SGTs they have shown that they can achieve qualities needed to make these technologies workable, while not increasing the intricacy or cost of design.